Risk Monitor is a highly flexible operational risk framework, permitting groups of users to analyse adverse events that may affect their business. For asset managers, this can be used to provide a transparent and rigorous calculation of Pillar II capital. A wide range of modelling approaches is supported within a user friendly framework. Risk owners and risk specialists may work collaboratively on defining and calibrating adverse events. 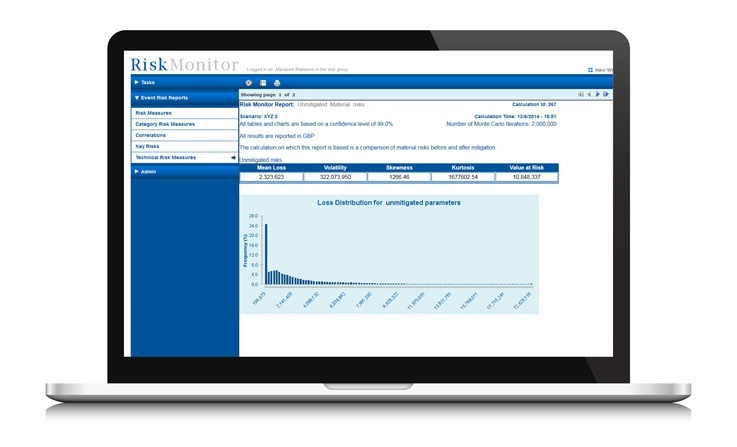 When combined with the stress testing, financial planning and risk dashboard applications in Stress Controller, Risk Monitor provides an integrated operational risk and stress testing application that can meet a client’s entire ICAAP quantification needs. Users may classify risks, devise and assess mitigating actions and repeat the analysis in an iterative way. Thus risk analysis becomes part of a practical set of risk management processes, integrating risk measurement with practical responses and actions. 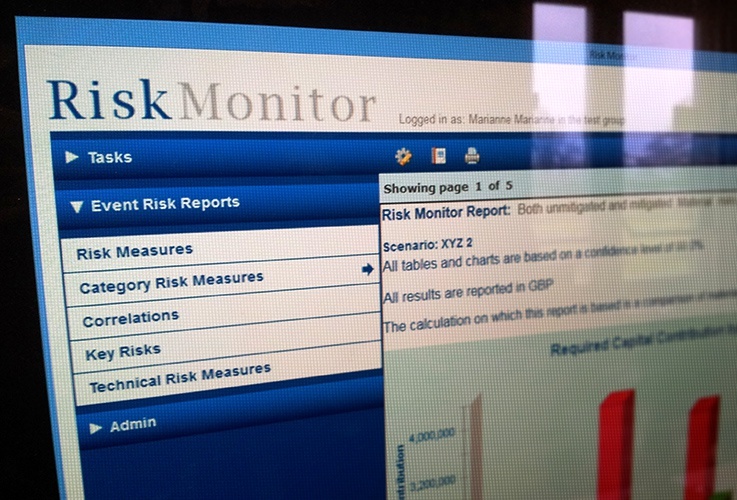 A range of risk measures is calculated using a Monte Carlo simulation engine, including VaR and capital contributions for individual risks and risk categories. The software supports data groups analysing different sets of risks and has an integrated reporting functionality, providing flexible ways to generate and distribute reports to other systems. It is platform independent and compatible with major databases and web servers.